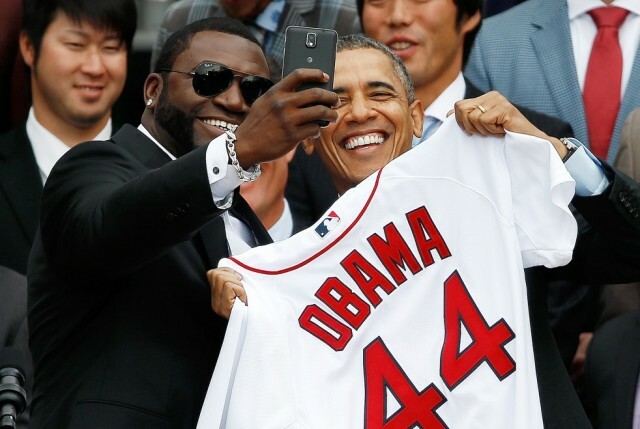 Home > Samsung > Selfie syndrome reaches the White House. Are we looking at another marketing gig from Samsung ? These days the so called “selfie” syndrome as we all know is on an all time rise and this trend has kept on increasing. If you guys can recall, the recently held Academy Awards managed to create a lot of buzz not due to all the glitz and glamor usually associated with it but mainly because of the famous star studded (paid) selfie taken by Ellen DeGeneres, the show’s host with a Samsung Galaxy Note 3 that went viral like crazy. Later on we found that this was actually a marketing stunt by Samsung who had officially agreed to a $20 million agreement with the show’s organization. It was actually a very smart move on the company’s part as evident from the limelight that this particularly selfie received even days after the conclusion of the Awards ceremony and was one of the most shared and viewed picture all over the social media including Facebook, Twitter and many more. Even though there is nothing wrong in marketing their products using high profile celebrities, Samsung should had at least given the President a prior warning about the marketing gig who many feel was an act of dishonesty on the South Korean tech giant’s part. All said and done, let’s see who Samsung manages to grab hold of in their next campaigns. The Queen of England maybe?